12" Starfire Action Doll Just $14.99! Down From $53! You are here: Home / Great Deals / Amazon Deals / 12″ Starfire Action Doll Just $14.99! Down From $53! 12″ Starfire Action Doll Just $14.99! Down From $53! For a limited time only, this 12″ Starfire Action Doll is currently on sale at Amazon for just $14.99 down from $52.92 PLUS FREE shipping with Amazon Prime or for orders $25 and above! 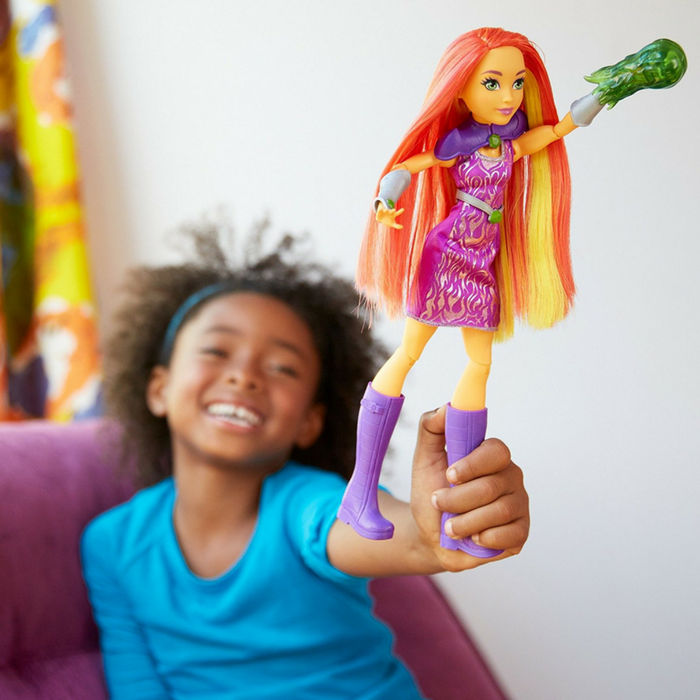 Unleash your power and explore your inner hero with DC Super Hero Girls Starfire action doll! Inspired by the powerful students of Super Hero High, the DC Super Hero Girls action dolls are ready for powerful fun. In 12-inch scale, Starfire action doll brightens the scene. Accessories are equally awesome. The gorgeous model and galactic traveler steals any spotlight with her long red hair, dramatic purple armor-inspired shoulder piece and gauntlet adorned with “jewels” from home. A removable starburst is a special scene stealer! Designed with high articulation and the ability to stand alone, the Starfire action doll is ready for powerful posing and creative storytelling — capture a moment of action with ease.